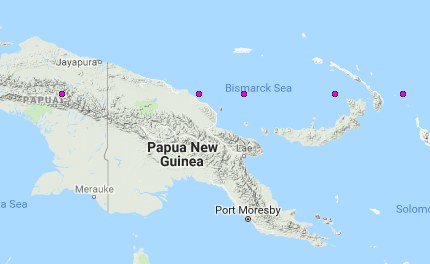 Papua New Guinea also should be subjected to stresses in a manner that the marked points on the map above should be vulnerable. The coordinates according to our methods are along the 4S latitude. [4S, 151E], [4S, 145E, 147E, 154E] are most pronounced spots.